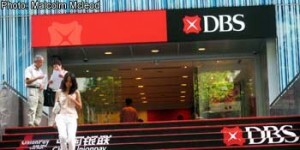 After collapse of the great lehman brothers investment bank……Singapore Famous DBS bank said that it has sold over S$100 million High notes 5 …As the report said more than 200 customers have sued the bank in a bid to recover the investment loss. Siraj omar,Director of Priemeire law has told that today in Singapore court 204 investors have filed a claim over the investment loss in DBS, He declined to discuss about the case but he is sure of reveal size claim of about S$17million. High notes 5 is a callable credit link notes investment in the DBS unit group. Apple CEO Steve Jobs has just 6 weeks to live?